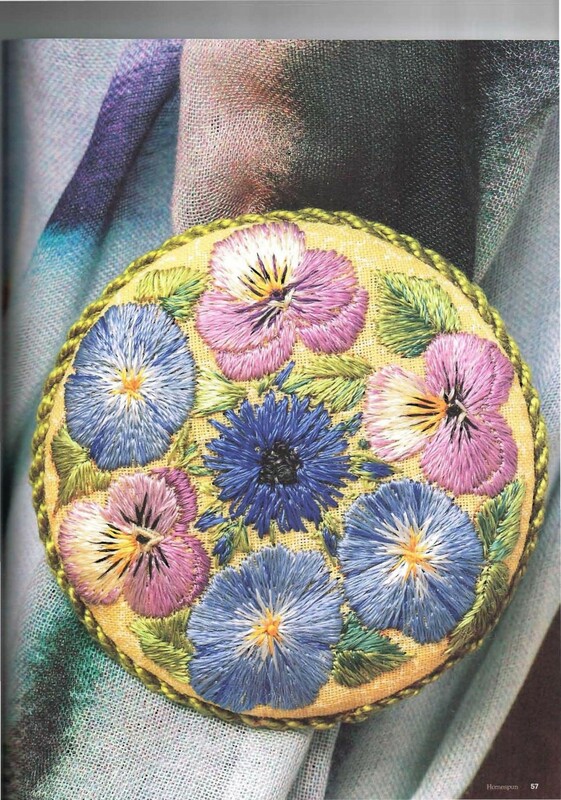 Dorothy Addlem captures the magic of the Pansies in her beautifully embroidered brooch of Pansies, Morning Glories and Cornflower. Now you can take your favourite flowers with you when you go out with friends. Simple stitching. Click the button below to add the Dorothy's Pansy Brooch to your wish list.